Patios are an attractive alternative for those who enjoy outdoor living. Properly constructed from pavers, brick, tile, bluestone and other choices, these areas can provide years of enjoyment. 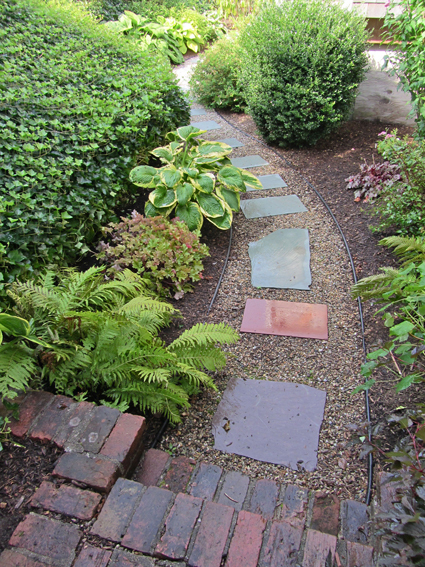 Walkways are used as a focal point to lead the eye to a specific point of interest regarding your beautiful home garden. Walkways can be constructed of pavers or brick (of which there are many styles) blocks, bluestone, concrete or any number of other options to enhance your landscape architecture. 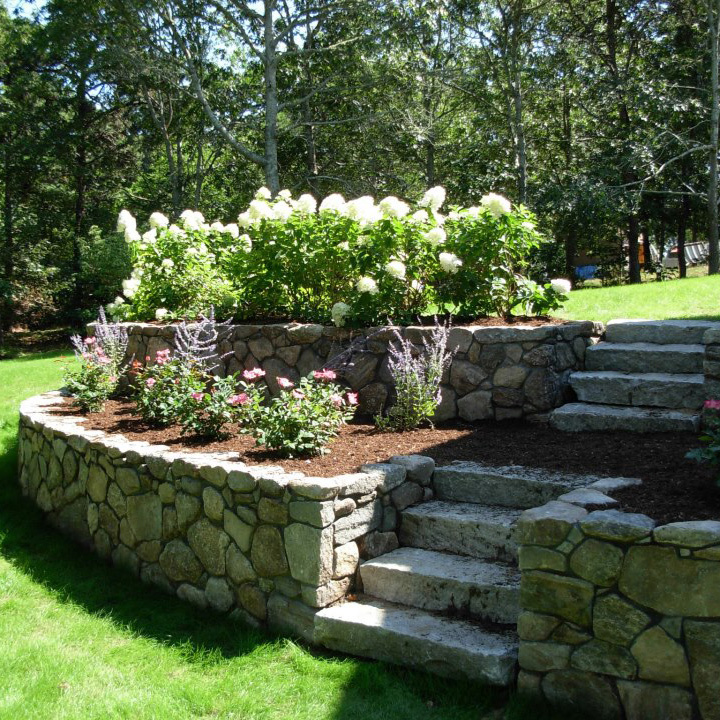 Retaining Walls are used to terrace slopes, enlarge areas for recreation, for patios, walks, driveways and to contain landscaped beds and mulch products. Walls can be constructed of natural stone, landscape timbers or precast blocks. There are many types of stone. Precast blocks also come in a variety of shapes and colors. Railroad ties have been used in the past, but because of their creosote content are discouraged for present day use.